Andrea Buchanan lost her mind while crossing the street one blustery March morning. The cold winter air triggered a coughing fit, and she began to choke. She was choking on a lot that day. A sick child. A pending divorce. The guilt of failing as a partner and as a mother. When the coughing finally stopped, she thought it was over. She could not have been more wrong. When she coughed that morning, a small tear ripped through her dura mater, the membrane covering the brain and spinal cord. But she didn't know that yet. Instead, Andrea went on with her day, unaware that her cerebrospinal fluid was already beginning to leak out of that tiny opening. What followed was nine months of pain and confusion as her brain, no longer cushioned by a healthy waterbed of fluid, sank in her skull. At a time in her life when she needed to be as clear-thinking as possible?as a writer, as a mother, as a woman attempting to strike out on her own after two decades of marriage?she was plagued by cognitive impairment and constant pain, trapped by her own brain--all while mystifying doctors and pushing the limits of medical understanding. In this luminous and moving narrative, Andrea reveals the astonishing story of this tumultuous year--her fraught search for treatment; how patients, especially women, fight to be seen as reliable narrators of their own experiences; and how her life-altering recovery process affected both her and her family. The mind-brain connection is one of the greatest mysteries of the human condition. In some folklore, the cerebrospinal fluid around the brain is thought to be the place where consciousness actually begins. 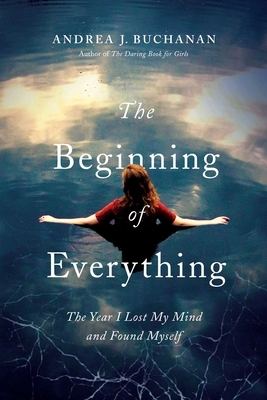 Here, in the pages of The Beginning of Everything, Andrea seeks to understand: Where was "I" when I wasn't there?